Who is Robert W. Rubinstein? Watch the video and find out. He was the Lawrence Township Chief Municipal Prosecutor from 2002-2005. Mr. Rubinstein is certified by the Supreme Court of New Jersey as a civil trial attorney. He initially practiced law in Florida defending catastrophic injury claims alleging product defects, defending cruise lines and representing litigants in complex commercial matters. Upon moving to New Jersey, he shifted his practice to help individuals and businesses that have been injured or harmed by the careless and negligent actions of others. He has several important Appellate victories; one concerning the ability to sue Walt Disney World in New Jersey and another against Trump Plaza Hotel & Casino concerning the duties of a Casino to prevent a drunk patron from driving. 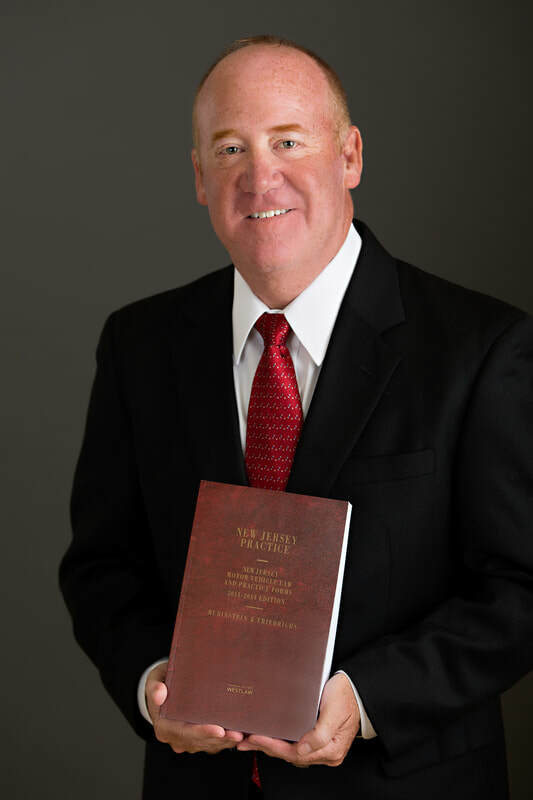 He currently writes about and teaches lawyers and paralegals about current personal injury law, effective legal writing, computer assisted research, and litigation support for paralegals. He has acted as Special Attorney for the Lawrence Township Planning Board, served as the Lawrence Township Zoning Board of Adjustment, Board of Trustees of the Mary Roebling Musical Scholarship Fund, Board of Directors of Jewish Family & Children's Services, and the Board of Trustees of Adath Israel Synagogue. Mr. Rubinstein recently completed a five-year term as an Investigator for the Office of Attorney Ethics-Mercer County District VII Committee. Mr. Rubinstein was appointed to this Committee by the New Jersey Supreme Court. 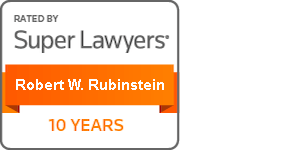 Robert W. Rubinstein is the co-author of New Jersey Personal Injury Law. It is a comprehensive treatise discussing personal injury law in New Jersey. Robert is also the co-author of Motor Vehicle Law and Practice Forms, 2016-2017 ed. (Vol. 26, New Jersey Practice Series). 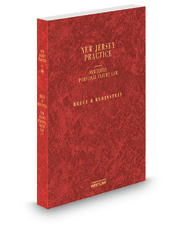 It provides practical advice on all procedural aspects of litigation and trial for New Jersey motor vehicle law and related topics. It is a useful tool for new attorneys handling litigation matters, as well as for new and experienced attorneys who are expanding their practice into the specialized area of New Jersey motor vehicle law.